Today’s coffee tastes like unsweetened baking chocolate dissolved into hot water, with just a touch of sourdough bread flavor, especially toward the bottom of the mug. With press pot coffee (today’s coffee was brewed with a press pot, sometimes called a French press), there are often grounds and concentrated coffee oils at the bottom, giving a slightly grittier and silty feel at the bottom of the cup. The siltiness (new word) coats your teeth. This coffee is a press pot–brewed Roadhouse Joe blend from Zingerman’s Coffee Co. and Zingerman’s Roadhouse. And look at that! Two down on this row for press pot. 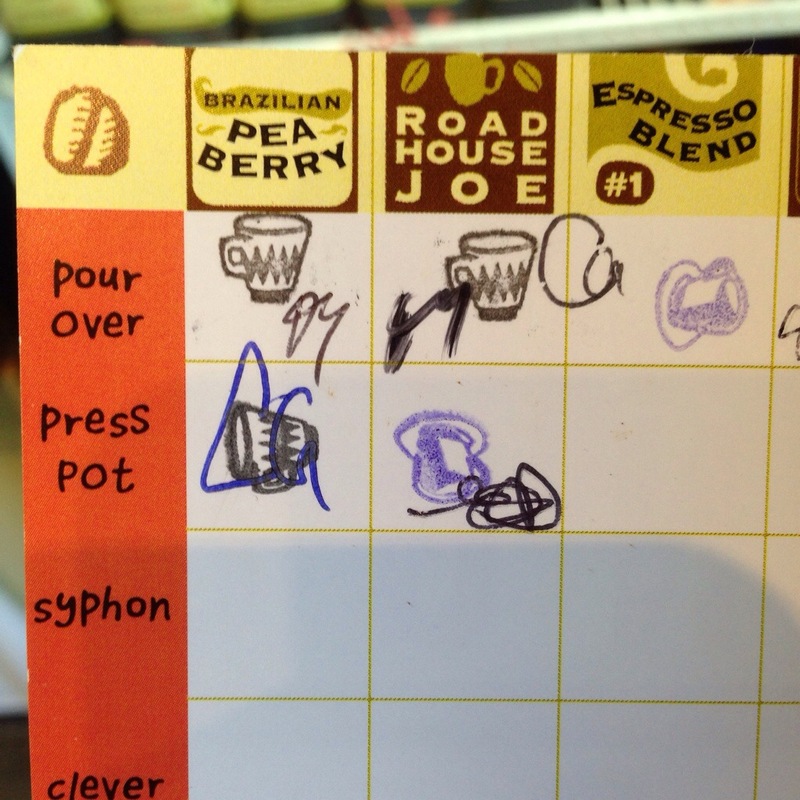 There are going to be many entries about Zingerman’s coffee as I complete the Big Brew Bingo board.